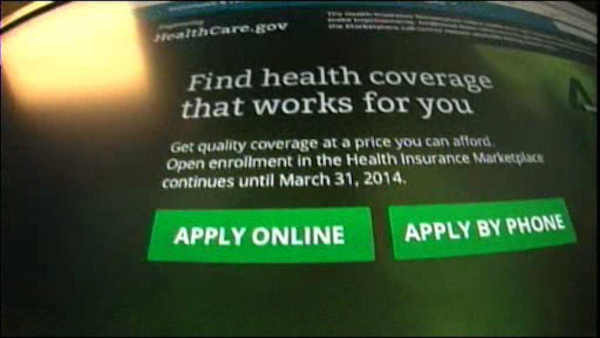 ALBANY, New York -- Health insurance would have to cover birth control without co-pays in New York even if President-elect Donald Trump repeals "Obamacare," under legislation proposed Wednesday by state Attorney General Eric Schneiderman. The bill would codify into state law the Affordable Care Act mandate for cost-free contraception and expand upon the federal requirements to provide cost-free coverage for all birth control methods, including vasectomies and emergency contraception like Plan B. It also would allow access to a year's worth of contraception at one time and prohibit insurance companies from reviews that can limit or delay contraceptive coverage. "The Comprehensive Contraception Coverage Act will ensure that all New Yorkers have access to the birth control method they need to stay healthy and effectively plan for their future, no matter what happens in Congress," Schneiderman said. California enacted a similar provision in 2014, followed by Illinois, Maryland and Vermont in 2016. Schneiderman, a Democrat, first proposed his bill in 2015; it passed the Assembly but stalled in a Senate committee. "States are looking to their coverage mandates because of the very palpable threat that contraceptive coverage will be eviscerated at the federal level," said Elizabeth Nash, a policy analyst with the Alan Guttmacher Institute, which follows reproductive health issues and laws. The New York Health Plan Association, an industry group, said the legislation would create new insurance mandates that would drive up costs. "Requiring coverage of emergency contraception, a year's worth of contraception, and voluntary sterilization procedures for men and women is inconsistent with existing coverage requirements," said Paul Macielak, president of the Health Plan Association. "And saying New Yorkers should have 'cost-free' access to the coverage ignores the actual costs of the services." The cost of services would be borne by all insurance premium payers, said Leslie Moran of the Health Plan Association. Christa Christakis, executive director of the American Congress of Obstetricians and Gynecologists District 2, said the public health benefits of contraception include preventing unintended pregnancies and decreasing the risk of endometrial and ovarian cancer. Schneiderman's bill would address barriers that continue to keep women from obtaining contraceptives and using them effectively, she said. Trump said Wednesday that he's committed to repealing and replacing the Affordable Care Act.